This year theme is Chhattisgarh and the fair focus on promoting the culture of the state though crafts, music and other art forms. If it’s not crowded it’s a nice place to spend some time. I spent almost 4 hours at the fair and I could hardly watch any performance – neither a dance form nor I could enjoy the music forms. The sole reason was that the people of Delhi/NCR are so friendly that they don’t allow them to perform at all, and instead they participate themselves. All I could see was local dancing everywhere without thinking where and for what purpose they have come to the place. Truly common sense goes for a toss. 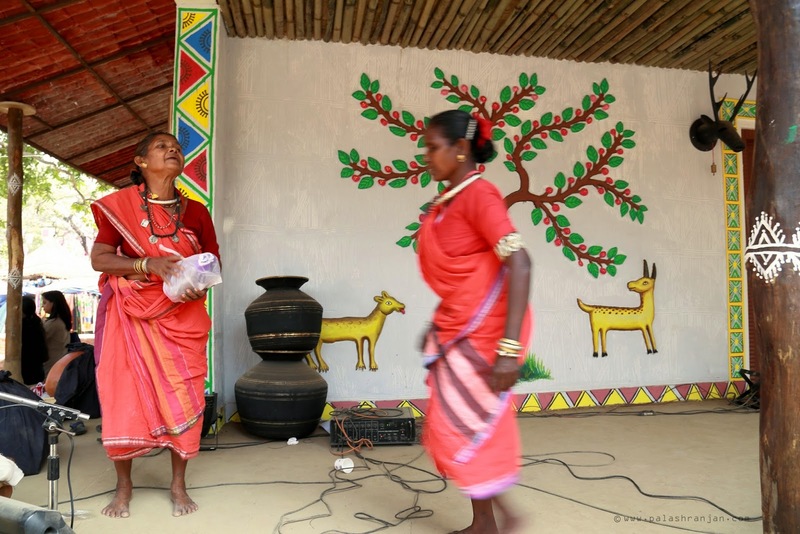 Amid all these chaos I noticed these 2 women in one of the Chhattisgarh traditional houses built at the fair working with lot of patience and unperturbed by the crowd. They being our guest show more complacencies than the host.